Do you work to earn your salvation, or do you realize you are saved by grace? 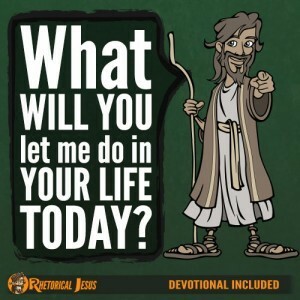 Every religion outside of Christianity is do, do, do, but only in Christ is it “done!” When the young rich ruler came to Jesus, he asked the wrong question: “What must I do to inherit eternal life” (Luke 18:18)? The young man went away sad because he had made money his one, true god (Luke 18:23). If only He knew that it wasn’t about what you could do but about what Jesus has done. It is a gift from God and not a result of any type of work we could ever do; if it was, knowing human nature, we’d surely boast about it (Eph. 2:9). If it was works, then I’d be sweating about my salvation every single day. I would always think, “Did I do enough? Was it enough to save me?” How about you? 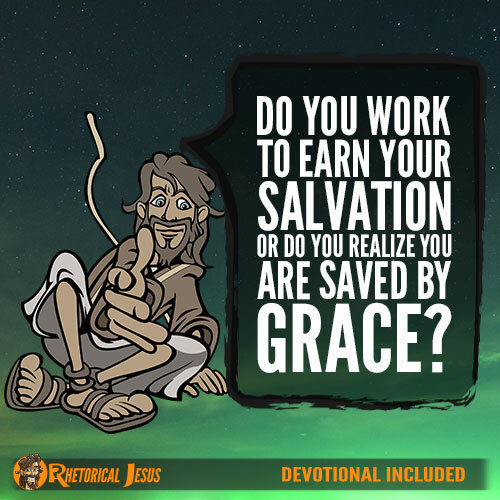 Are you like I and still have the tendency to work to earn your salvation, not realizing that grace is a gift? Paul spent much of his time in writing the Book of Romans trying to remind the church at Rome that no human works are acceptable to God (Rom. 3:20). We are justified by faith alone apart from anything that we could ever do (Rom. 3:28), which then cancels out any reason for human bragging (Rom. 3:27). If it had anything to do with works, then it’s not a gift anymore. Let’s say today is your birthday and you get a birthday gift. What did you do to earn that gift? Just by being born? No, you did not cause your own human birth, so you couldn’t have earned your birthday gift because if you earned it, then it’s not really a gift but wages for your labor (Rom. 4:4). That’s why God’s grace is so amazing–we can’t earn it, we can’t merit it, nor do we deserve it. It is all simply a gift of God. I believe if we add one drop of works to our salvation, we insult the sufficiency of Christ’s work at Calvary. It’s like saying, “Nice work on the cross Jesus, but it’s not quite enough. I have to do this or that to complete it.” This robs God of glory. It’s the same as Christ + works = nothing, which should be Christ + nothing = eternal life. Don’t get me wrong; a person who is saved will naturally, as a result, produce works, but they’re not saved by those works. 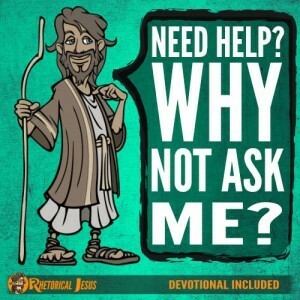 The crowd once asked Jesus about what works must be done to do the works of God (John 6:28), and Jesus told them, “This is the work of God, that you believe in him whom he has sent” (John 6:29). That’s the only works we will ever have to do, that is believe in Jesus Christ, Whom the Father has sent. That’s it! Nothing more and nothing less. So, again, I ask the rhetorical question: Do you work to earn your salvation, or do you realize that you are saved by grace? I must ask myself this same question. Father, thank You for this free gift of eternal life by believing in the Son of God, and thank You that I didn’t have to earn it; I could never earn it in a million years, anyway. 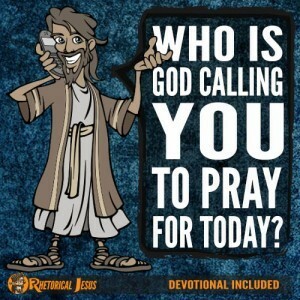 Praise be to You and to Your Great Son, Jesus Christ, in Whose name I pray.